c) closely monitor the progress of the GEF Global Wildlife Program and its projects to enhance Parties ability to meet their obligations under CITES. d) report on progress to the Standing Committee and Conference of the Parties as appropriate. Directed to Parties, governmental, intergovernmental and nongovernmental organizations and other entities All Parties, governmental, intergovernmental and non-governmental organizations and other entities are invited to provide financial or technical assistance to ensure the effective implementation of the Decisions and Resolutions adopted by the Conference of the Parties. Parties are invited to second staff to the CITES Secretariat and to note that the salary of seconded personnel shall be covered by the Party. Seconded personnel shall carry out their duties and act in the interest of the mandate of the CITES Secretariat. 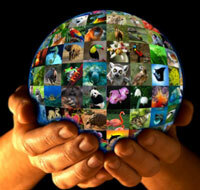 c) explore the potential for scaled-up financial resources to ensure the conservation and sustainable use of wildlife. The Secretariat shall report the progress made with regard to the implementation of Decision 17.14, and its findings and recommendations, to the Standing Committee, as necessary, and at the 18th meeting of the Conference of the Parties. The Standing Committee shall review the progress of implementation of Decisions 17.12 through 17.15 and make recommendations as necessary at the 18th meeting of the Conference of the Parties.